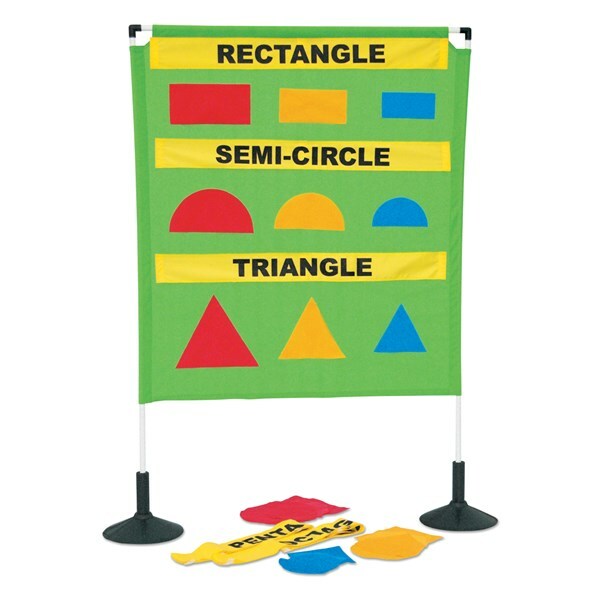 This target game is made of special fabric which allows you to stick these different shapes to the target. 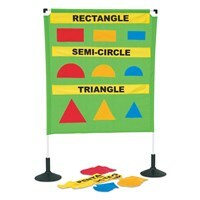 This is an ultimate way to teach different shapes to children. 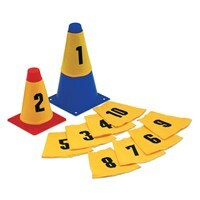 It comes with 9 strips of shape names in yellow colour & 3 sizes of each of the 9 shapes and each size in different colour. You can stick the shape name above and ask the children to stick the shape corresponding to that name and vice-versa. It includes 2 heavy bases, 4.5 kg weight each & 3 poles. Comes folded and easy to assemble. Note: It can be customized as per your requirement, please ask for more details. 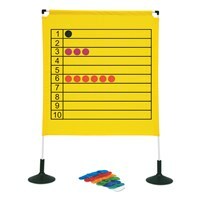 This target game is made of special fabric which allows you to stick these dots to the target. This is a very interesting way to teach number counting. 55 dots in 10 different colours. For each number count, corresponding number of dots of the same colour are supplied. Children are required to identify same colour dots, count them and then place it against the corresponding numbers. It includes 2 heavy bases, 4.5kg weight each & 3 poles. Comes folded and easy to assemble. 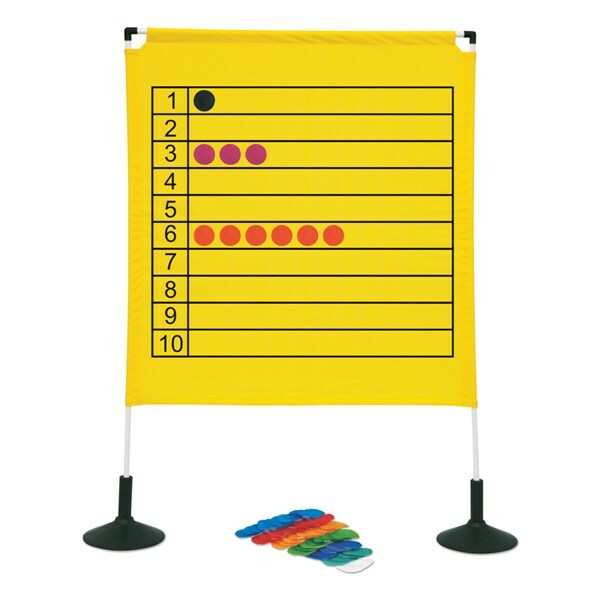 This target game is made of special fabric which allows you to stick these target bean bags to the target. This is a perfect game to teach shapes. 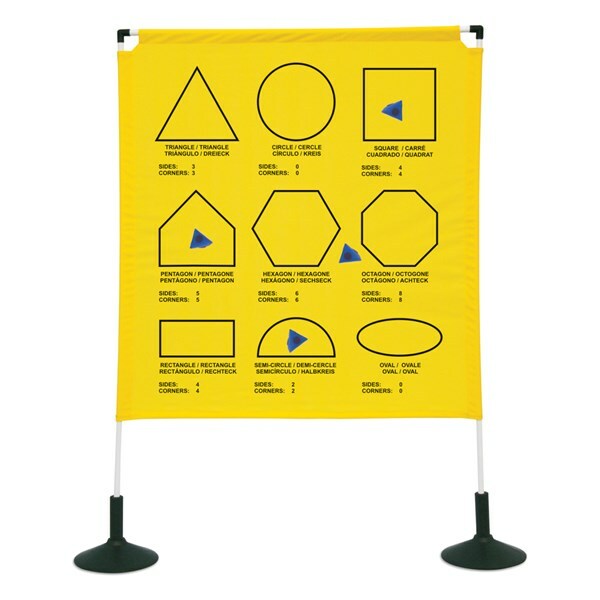 There are 9 shapes printed on this fabric and children need to target them. After targeting they read out its name, number of corners it has and number of lines it has. 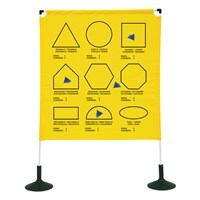 It includes 9 x Pyramid Shaped Target Bean Bags, 2 heavy bases, 4.5 kg weight each & 3 poles. Comes folded and easy to assemble. 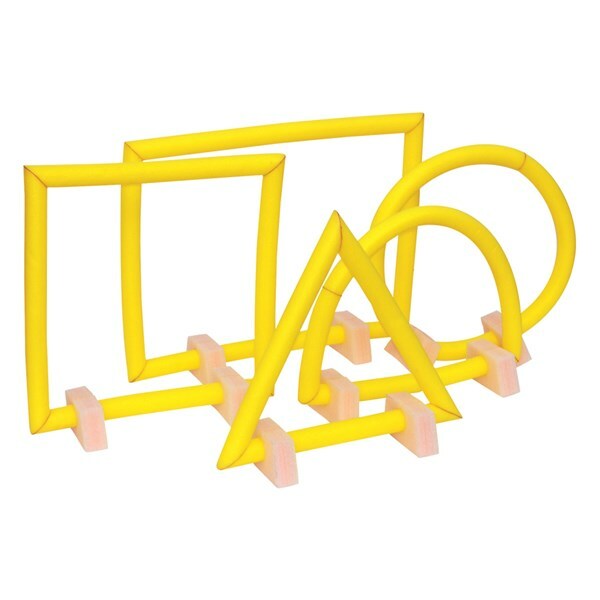 These obstacles are completely made of foam, so safe for children and are available in 6 different shapes (Square, Rectangle, Circle, Triangle, Hexagon & Semi-circle). 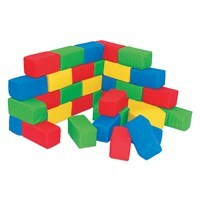 Great fun for children. Note: These sets can also be customized as per your requirement. Please ask for more details. Bricks made of PVC coated fabric with foam inside. Available in assorted colours. Size: 25 cm x 13 cm. Vinex cone sleeves made of cotton available in assorted colours. Suitable for 9" & 4" Hat shaped cones. (Cones not supplied, but can be supplied on customer's request). 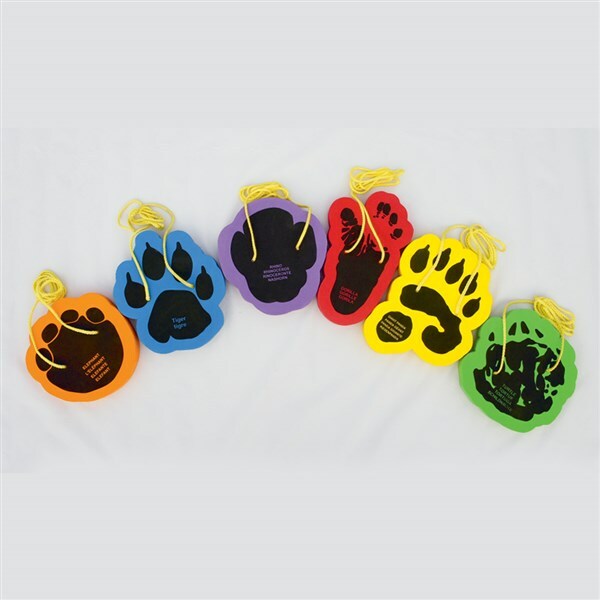 Note: These can also be customized as per customer's requirement. Please ask for more details. A new innovation from Vinex. These cone sleeves made of transparent plastic sheet. 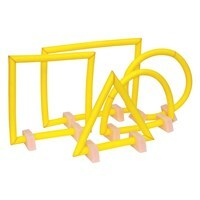 A perfect product for schools, trainers or PE teachers. This transparent sheet allows the trainer to mark the cones suitable for the training required with whiteboard dry-eraser marker and later clean it easily with a damp cloth to re-use for different training. 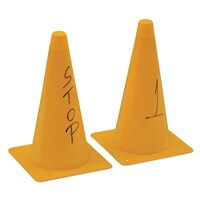 Comes in 2 variants with cones. 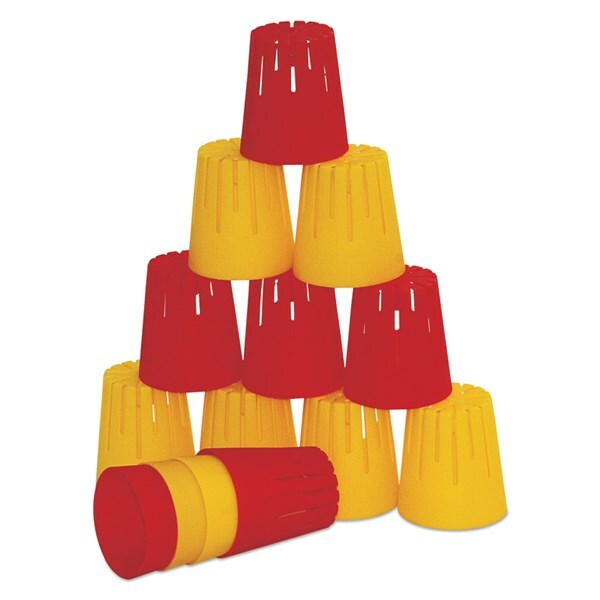 Vinex non-jamming plastic stacking cups can be used for multiple games like juggling, stacking, hitting the stackers etc. Available in assorted colours and sold as pack of 12 pcs. Note: Sets can also be customized as per customer's requirement. 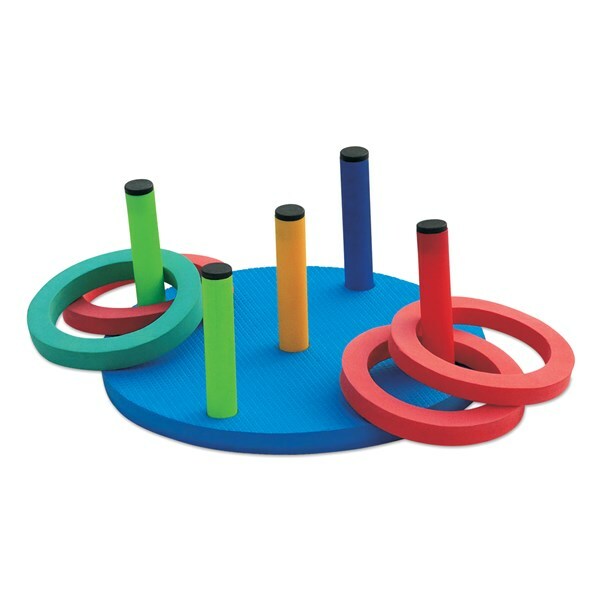 A new foam ring toss safe and ideal for both indoors and outdoors. 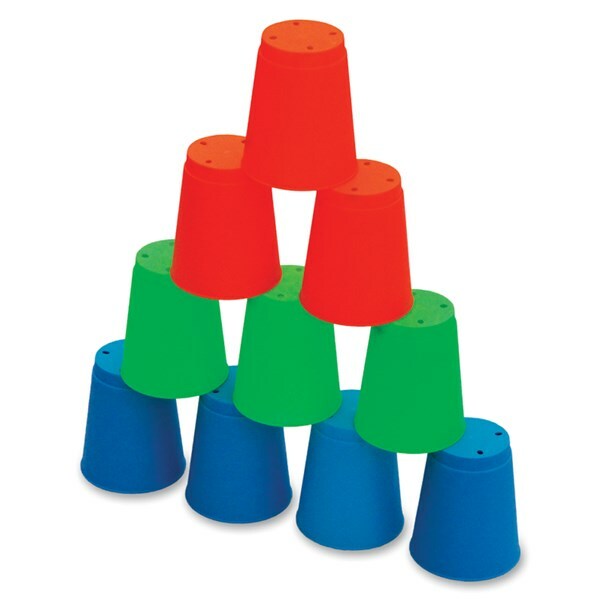 A perfect eye hand coordination game. Set includes 1 Base, 5 Poles & 6 Rings. Stacking cups made of plastic, can be used for multiple games like juggling, stacking, hitting the stacks etc. Available in assorted colors and sold as pack of 12 pcs. Balance & coordination development giant foam stilts set made of EVA foam. These stilts are printed with name of animal & have shape of feet impression. Easy for learning foot pattern.